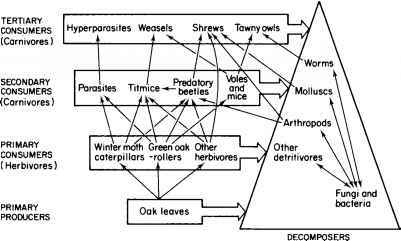 It is by now well recognized that the abundance of mammalian herbivores over a landscape or regional scale is linked to the nutrient status of the soil. Samuel McNaughton (1988) showed, for instance, that animals in the Serengeti concentrate in areas of higher availability in forage of minerals such as magnesium, sodium, and phosphorus. Daniel Botkin and colleagues emphasized the role of soil nutrient status and cycling in the abundance and dynamics of vegetation and large herbivore populations. The retention of nutrients in the soil is linked to rainfall in a region, as shown in an early East African study by R. M. Scott. Under very low rainfall (<500 mm/year), nutrient saturation is maintained at nearly 100% in all soil types. With increasing rainfall, the saturation drops steeply to 15% at a threshold of about 750 mm/year, after which it increases again through the subhumid regions to a smaller peak of 55% at 1,200 mm/ year, only to drop again beyond this level. Botkin and colleagues thus view the dynamics of vegetation and large herbivores like elephants in semiarid habitats as a complex interaction in which nutrient cycling plays a pivotal role. The removal of large herbivores (e.g., through culling of elephants, for instance) could also remove nutrients and lower the productivity of the vegetation.